So, does law of attraction really work? 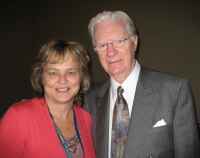 Here's what happened for me recently at a seminar with Bob Proctor (one of the presenters on the movie The Secret). A week or two prior to this seminar I had been watching the movie 'The Secret' and had been focusing on becoming clear about a big goal. Another email came offering me a scholarship to a 4 day seminar worth around $3000! Gifted to me. WOW! How could I refuse? It was at this seminar that Bob Proctor was presenting the law of attraction. As the seminar progressed my fuzzy goal became clearer, however I had no idea of the 'how'. By the 3rd day I met someone you gave me real clarity on the 'how'. So, you tell me, does the law of attraction really work? What most of the teachers of the law say, is that even if we believe it or not, that because it is a 'law', just like gravity, it is working all the time. I have put together some resources on the right of this page to help you understand and then implement law of attraction. Which will then build your 'belief'. So make the decision to learn, understand and implement the law of attraction. Top: does law of attraction really work?